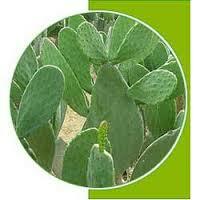 Cactus contains a molecule that is similar to glucose, only much stronger. The scientists believe that this molecule in catus ‘fools’ the body into believing that cactus has just eaten. The result of eating cactus is thus a complete lack of appetite. Because of this property, western countries have claimed that cactus is the new miracle diet ingredient. Cactus has been used as an appetite suppressant and thirst quencher.now hoodia cactus become a hot solution for safe all natural stimulant free weight loss and a well known appetite suppressant. Cactus extract has function of clearing away heat and toxic.For promoting blood circulation and lowering blood pressure, cactus extract plays an important role.Cactus extract is used to lose weight.,because cactus extract contains a substance called alcohol acid, can inhibit the growth of fat.Cactus extract has antibacterial and anti-inflammatory effect,cactus extract against Staphylococcus aureus, Proteus mirabilis, Escherichia coli, Bacillus subtilis, Bacillus cereus inhibition.As an important medical raw,cactus extract can be used to lower blood sugar,cactus extract with a variety of flavonoids such as quercetin -3 – glucoside. Significant hypoglycemic effect,cactus extract can effectively improve the type diabetes glucose metabolism in patients. This entry was posted in Uncategorized by ebiochem. Bookmark the permalink.